Also applicable to genderqueer people too. Just so you know! 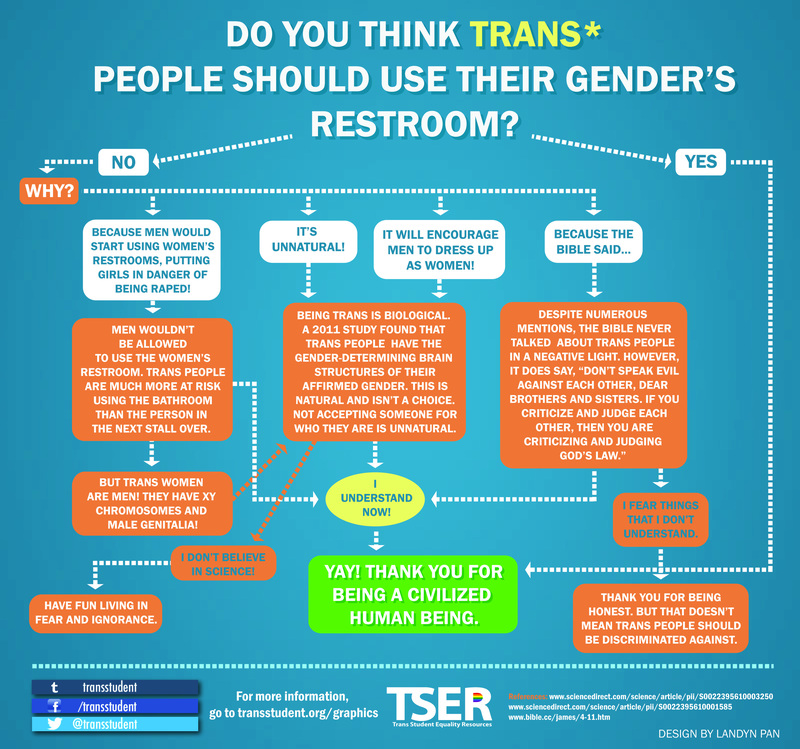 Download your copy of the Trans Bathroom Rights Flow Chart from Trans Student Equality Resources.